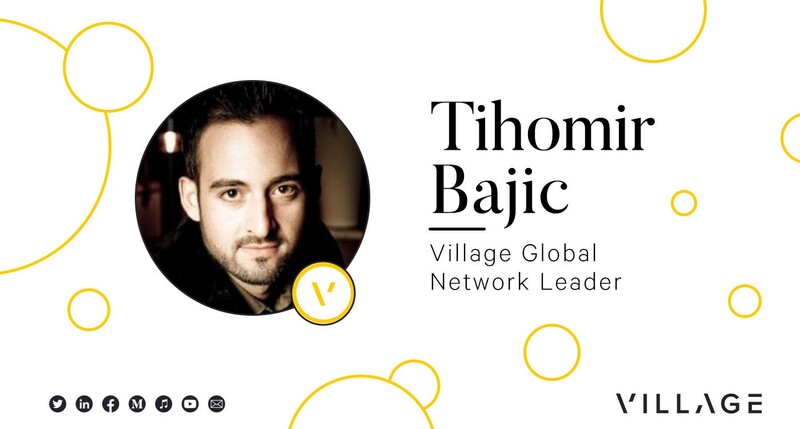 Tihomir Bajic is a repeat entrepreneur and founding engineer with a deep and diverse network in Silicon Valley and abroad. Tiho often helps founders with hiring, technology, strategy and deployment. He recently became a Village Global Network Leader to help source and support founders alongside our core team. We asked him 6 questions to share his story with our broader network. Here are his responses below. 1. What’s one thing you are working on now that you are personally excited about? How are you spending your time? 2. Beyond LTSE, you’re deeply embedded in a diverse startup ecosystem. You lead Serbian Entrepreneurs, a pay-it-forward global network of entrepreneurs fostering the Serbian startup ecosystem. Tell us about the Serbian diaspora in Silicon Valley. What makes it so unique? The Serbian community in Silicon Valley is relatively small but has a rich local history. The First Serbian Benevolent Society was established in 1880 here in SF. Today, Serbian Entrepreneurs includes more than 50 Bay Area members. I believe having common roots helps us relate and understand each other more easily. Our commitment to support one another coupled with a high degree of professional diversity makes us uniquely positioned to help our startups succeed. All of our members are past or current entrepreneurs or actively advising and investing in startups. Our members include top academics and researchers, ex-professional athletes and Olympians, repeat and first-time founders, newcomers to the US and 2nd generation Americans. 3. What themes, sectors, and trends interest you? Where do you want to invest alongside Serbian Entrepreneurs and Village Global? My approach to investing in startups and advising founders is not based on sector, technology or trend. I get involved early and look for opportunities where either Serbian Entrepreneurs as a network can really boost the startup trajectory or where I personally can be of value (for example, a startup that needs to build a technical team or needs to translate a key customer insight into a product validation plan). To judge the opportunity, I also spend time on understanding how big the problem is that they are solving. Sounds cliche but it’s hard to do in practice. The biggest opportunities I missed were the ones where I completely underestimated the upside and instead looked at why they wouldn’t get big. 4. How do you personally evaluate early-stage entrepreneurs? What gets you to yes? When evaluating early-stage entrepreneurs, I look for evidence of resourcefulness and how good they are at executing tactically. This is rarely obvious upon first impression, so I tend to take the necessary time to judge. I ask about immediate plans and then try to evaluate and corroborate how well they perform. If they’re managing to achieve a lot on a shoestring budget or reach early validation milestones by overcoming major obstacles, I am usually a yes. 5. You’ve worked on 4 startups that were originally from 3 different countries in 4 different industries. What compelled you to take such broad and diverse leaps? What core principles and values helped you succeed? I’ve always followed what seemed to be the biggest opportunity, despite not having expertise in the specific industry. As a kid, I moved around a lot because of the wars in ex-Yugoslavia. I settled in Toronto to study computer science at UofT. This meant that by the time I was joining my first startup I had a lot of personal experience dealing with foreign situations and that made it less scary to join vastly different ventures. One of the ways I deal with unknown situations is to seek out experts and read a lot. A “learning mindset” is a key trait I also look for in my coworkers and team. The startups I’ve started or worked for had vastly different cultures (influenced by different founder values, cultural norms, and different missions and industries in which we worked) but in each case once we aligned our internal culture/values with our mission and with the culture/values of our customers we did our best work. I don’t see others talk about this much and in my experience it’s part of secret sauce for building successful startup products regardless of the industry at hand. 6. How can you best help founders…What’s your superpower? You can connect with Tihomir on Twitter and LinkedIn.